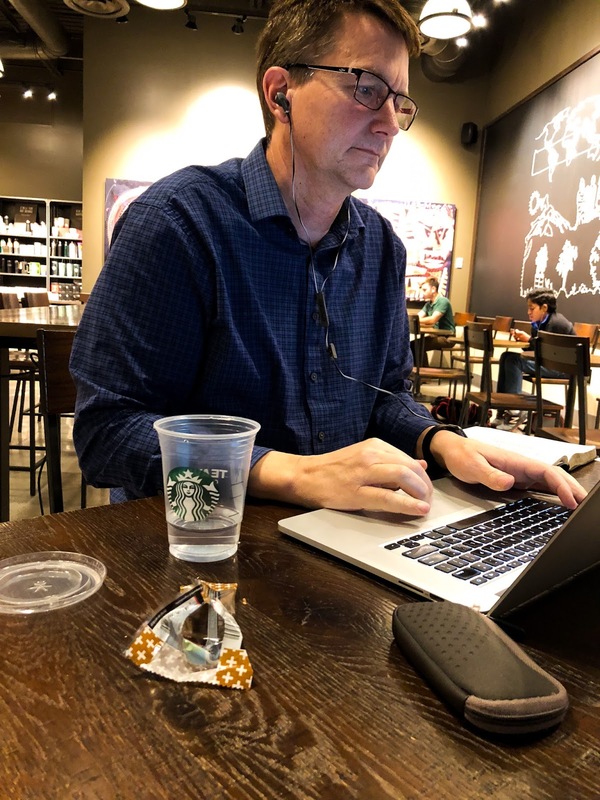 Dave had no idea I was taking pictures of him this afternoon as he was deep in thought at a Starbucks south of Orlando. 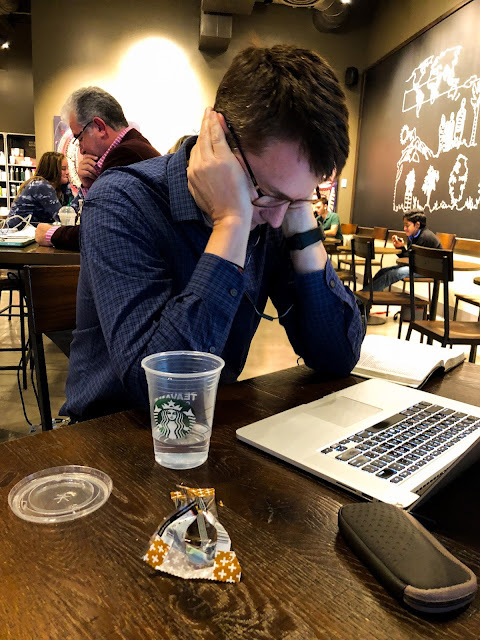 But I just wanted to capture a side of him that few people see ... the amount of time, thought, prayer, effort and pure work he puts into preparation for speaking. 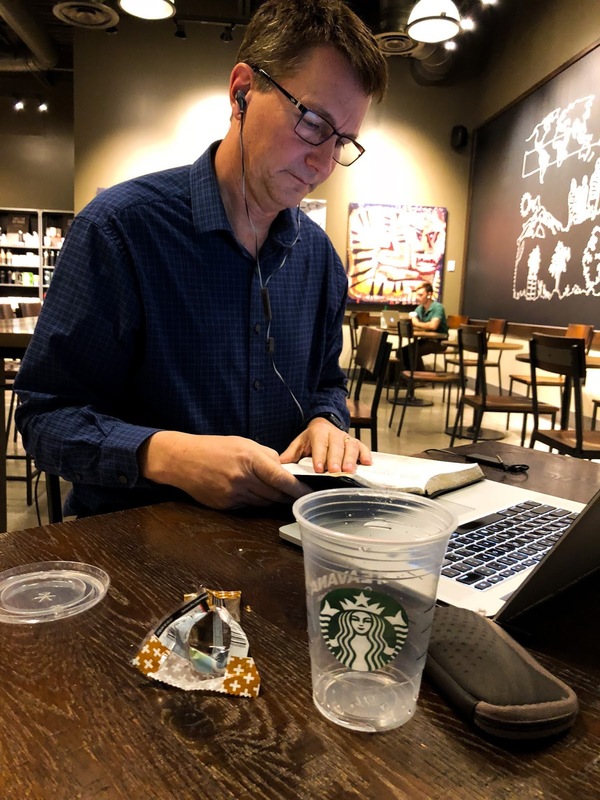 Today he was finishing up preparations for his three plenary sessions at the Sonlife Discipleship conference this week, held here in Orlando. Think, pray, read and write. Repeat. That's pretty much how it goes over the course of hours when he's in the zone! I love that God has gifted him to do this, and that he takes that responsibility so seriously. My joy is to sit here and pray for him, that God will use his talks to impact all those who will hear them. I love that gift too and am so glad we get to be impacted by it not just this week!